Alfred the tortoise wins Quantock Vet's Pet of the Month at eighty-five years old! The feeding tube remained in place for six months during which time Alfred’s appetite slowly improved. 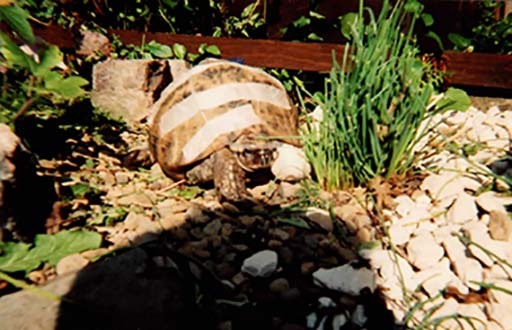 Mrs Pearse made big changes – Alfred became an indoor tortoise and did not hibernate at all over the winter (it is not recommended to hibernate tortoises who are not fully healthy). He pulled the feeding tube out himself in February, by which time he was eating well enough to not need it any more. Since then he has been doing really well and although very old now he seems very happy in himself.